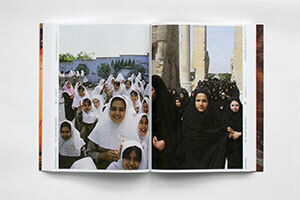 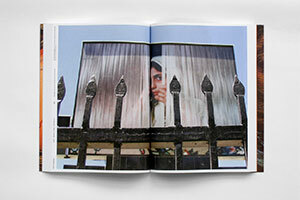 On the initiative of Gabriëlle Schleijpen, head of Studium Generale at the Gerrit Rietveld Academy in Amsterdam, a motley group of students, teachers and artists related to the academy traveled in 2005 and 2007 to the Islamic Republic of Iran to gain their own personal insights on the status quo of the country. 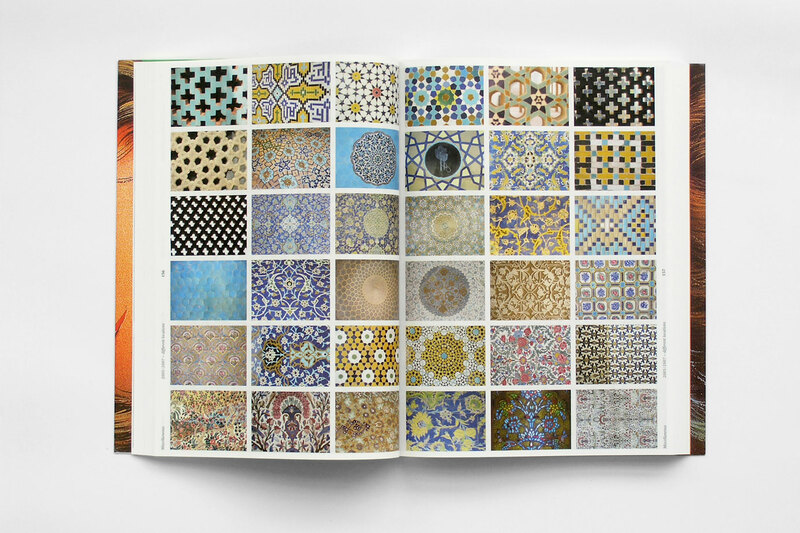 While staying in the neighborhood of the world’s cradle of civilization, they have compiled a total of 16,000 photographs, some of them taken very spontaneously while others done more intentionally, some of them displaying trivial matters while others dealing with serious topics. 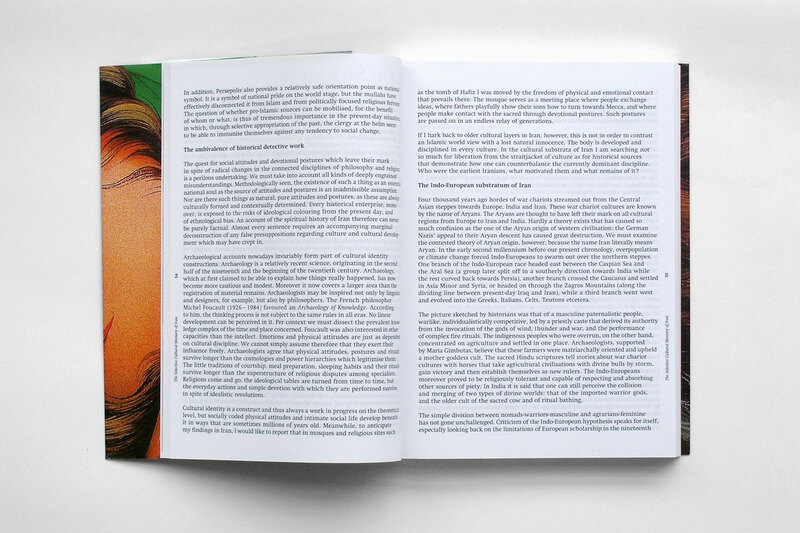 This was the moment when the idea to publish this book was born. 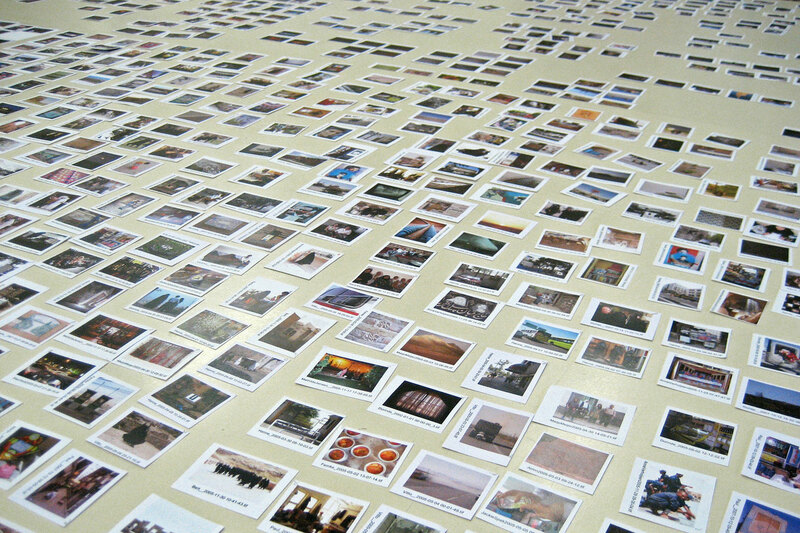 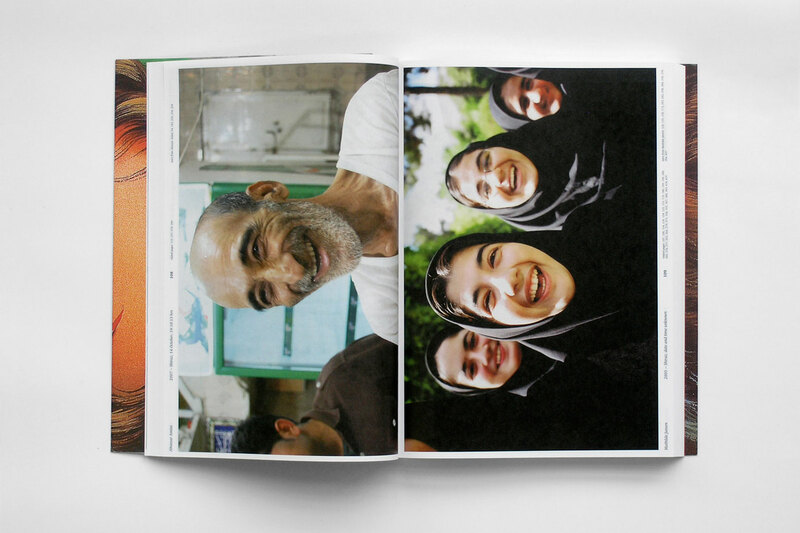 For the Heartbeat Iran publication the overwhelming amount of images was brought back to a tangible selection of 550 photos. 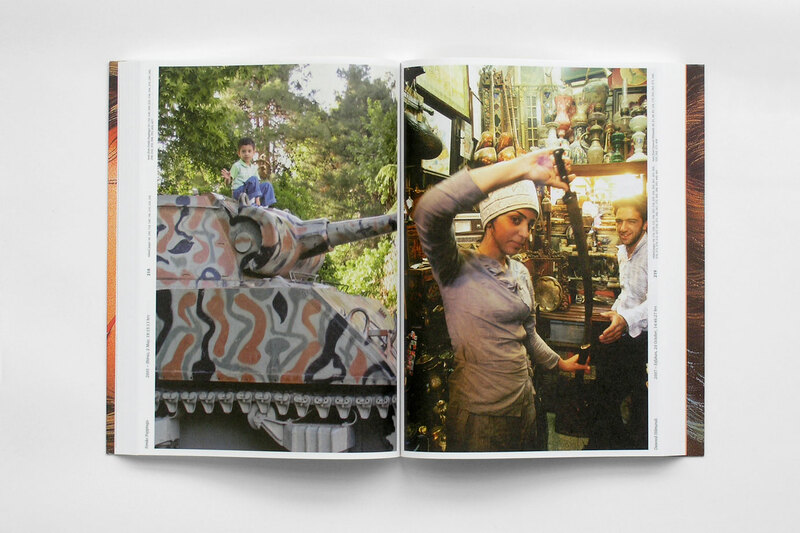 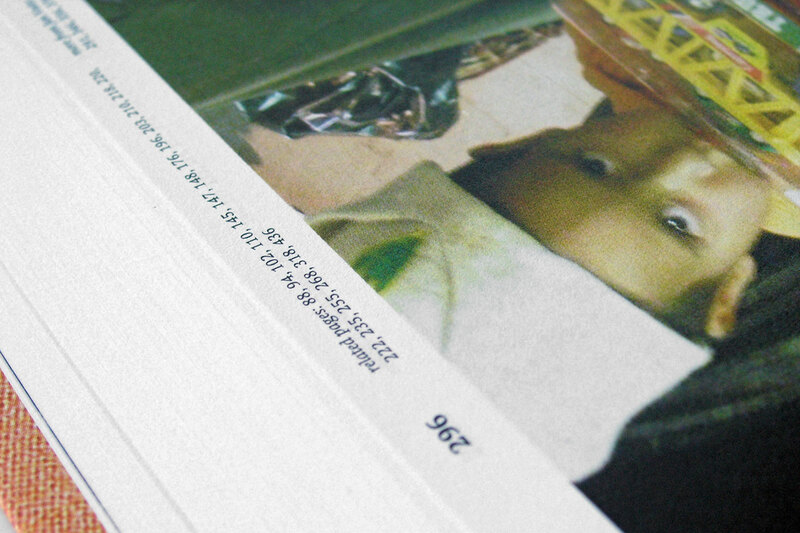 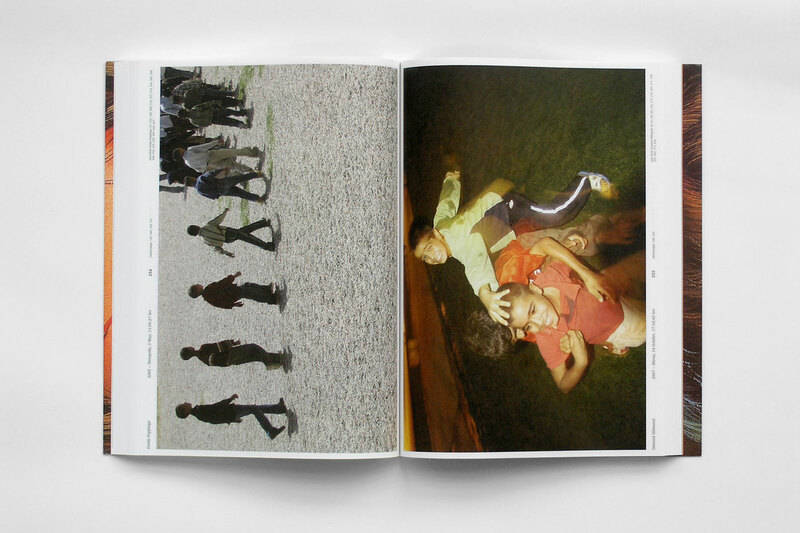 Referring to a country full of contradictions and extremes, the spine in this book functions as a dividing line between two poles: an “Axis of Evil” that allows the viewer to juxtapose the various topics of the imagery, whether as a single image or as a pair. 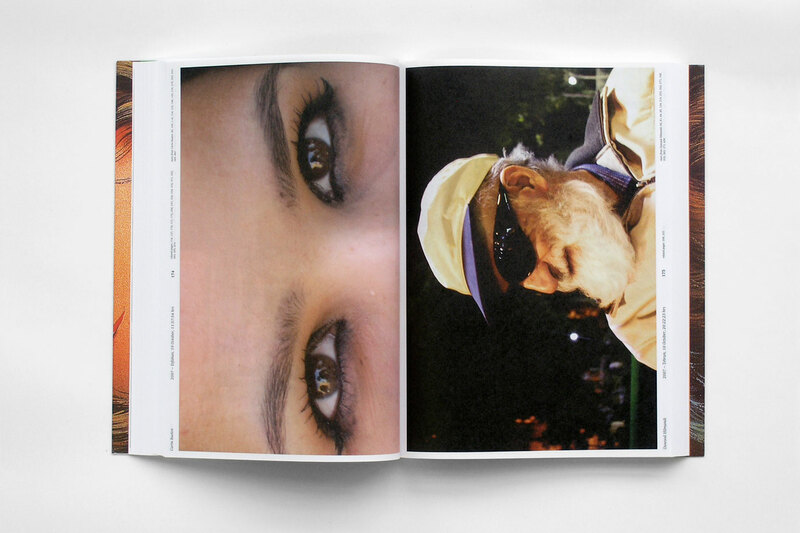 Dichotomy as a style principle. 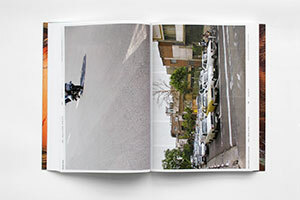 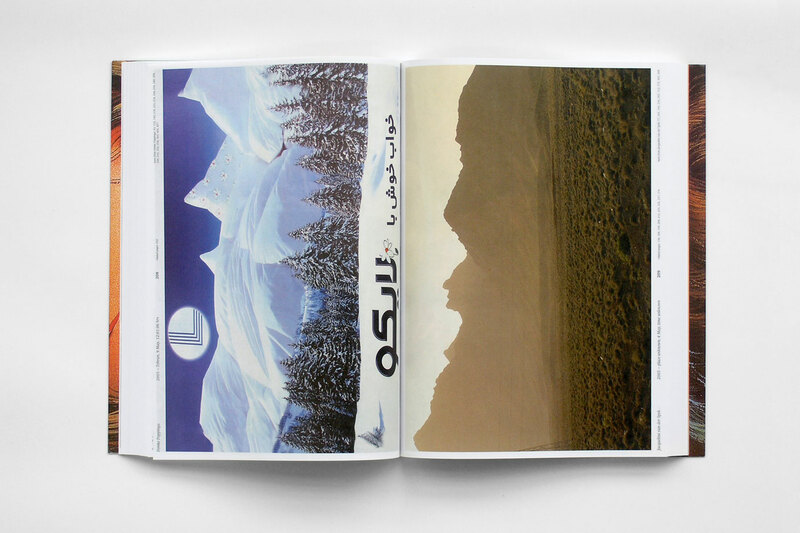 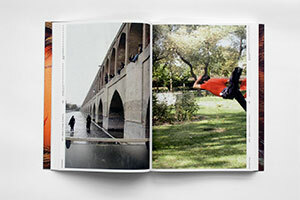 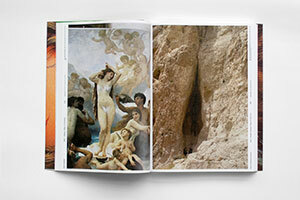 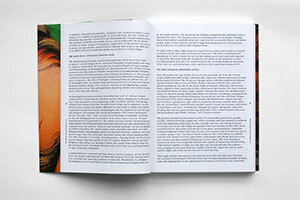 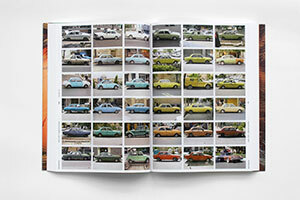 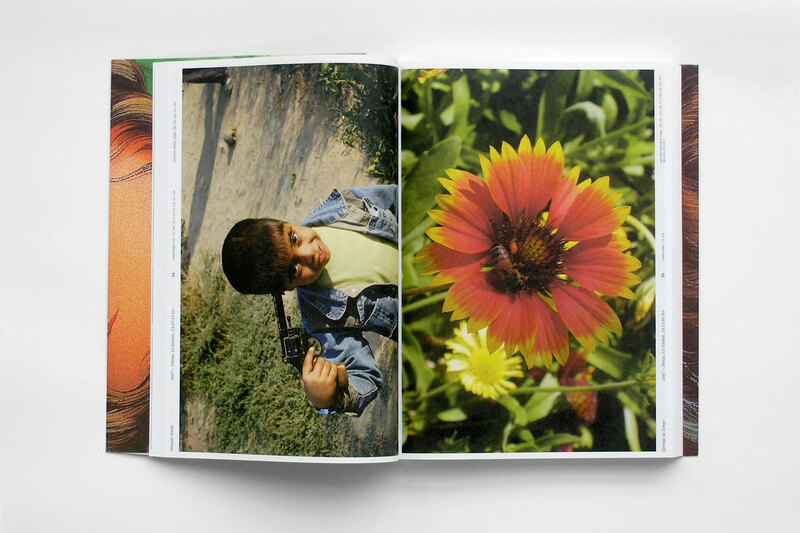 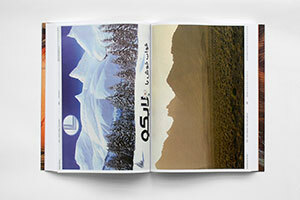 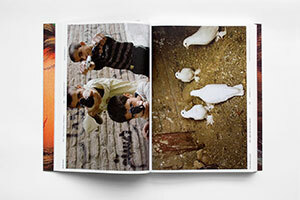 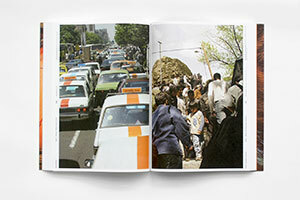 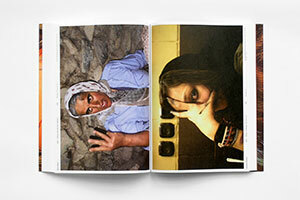 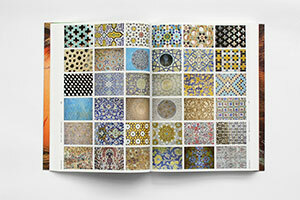 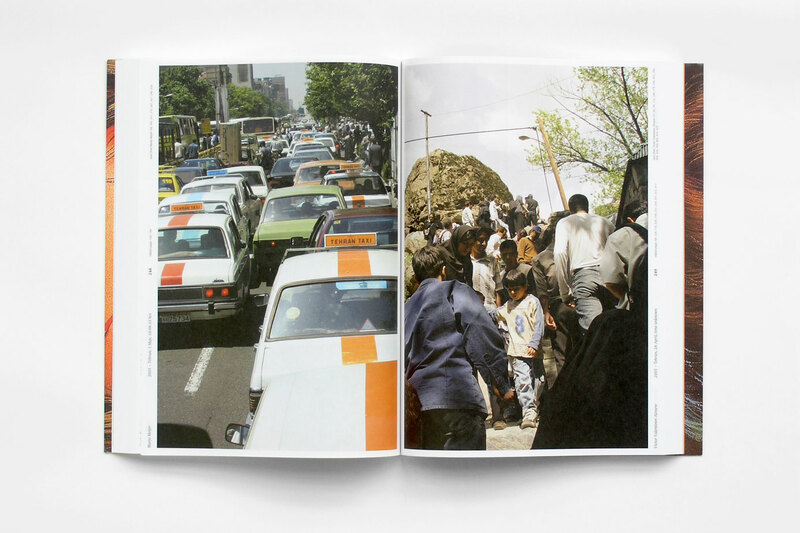 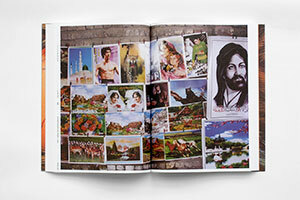 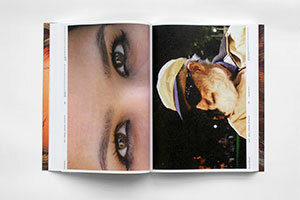 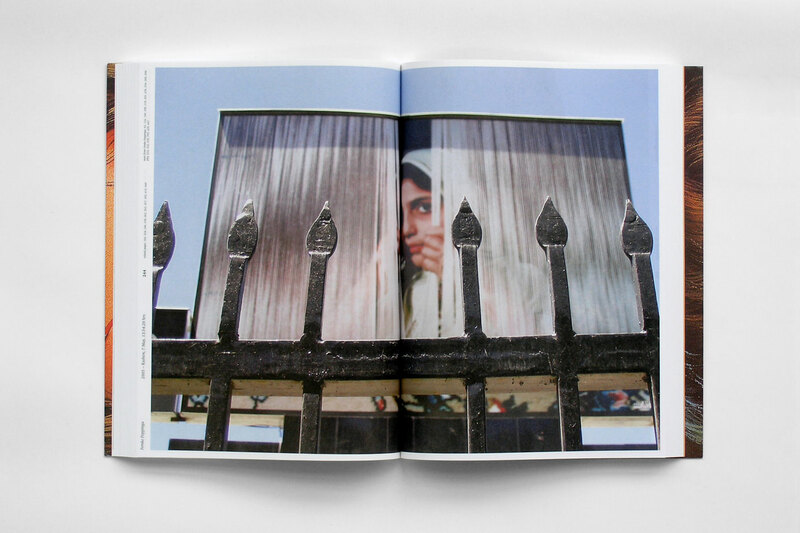 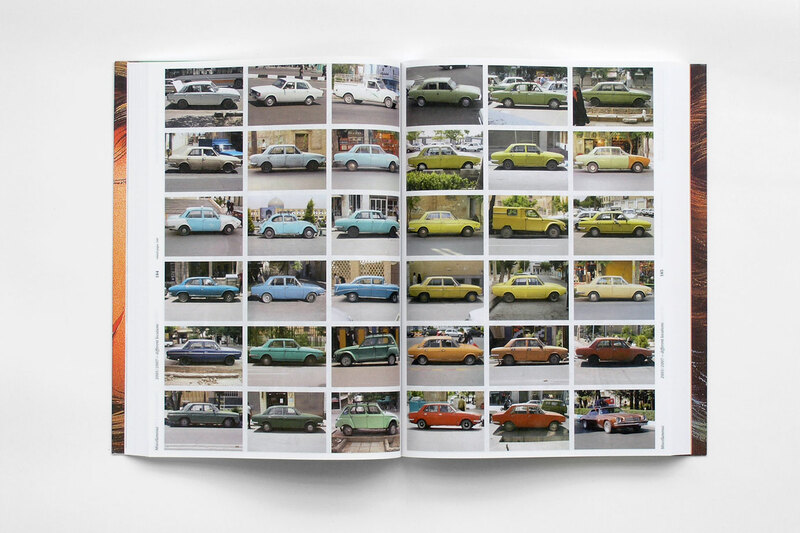 Every spread not only aims at presenting this duality, contrast or similarity, but also relates to corresponding images elsewhere in the book (as depicted on page 72 and 73). Crosslinks based on descriptive keywords (tags) allow for contextual searching and browsing. 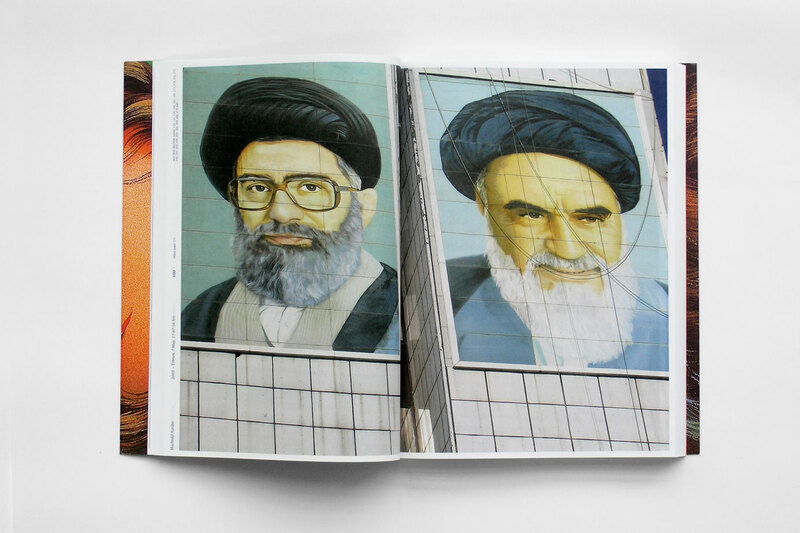 In this sense, Heartbeat Iran should be seen as a publication that reconsiders the linear form of a book and makes a first step towards a dynamic network structure comparable to Youtube. 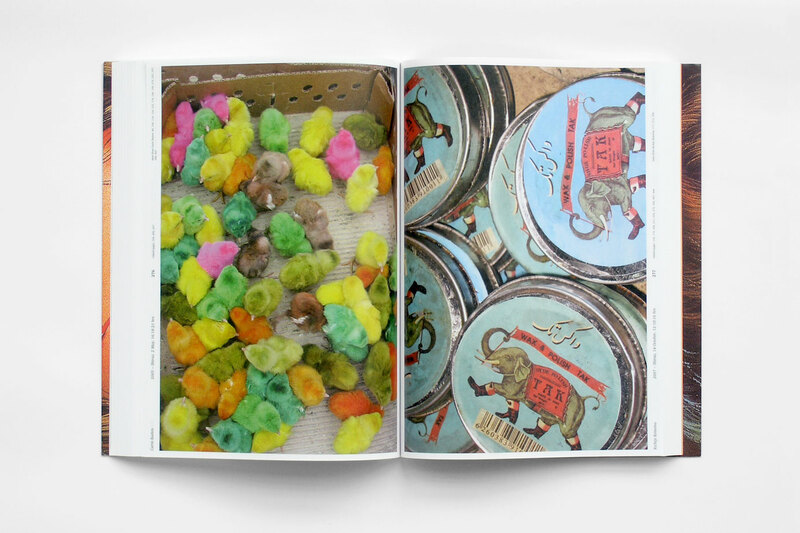 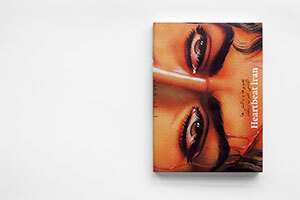 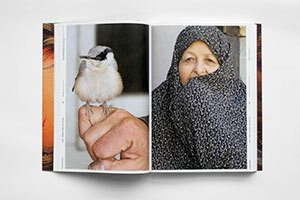 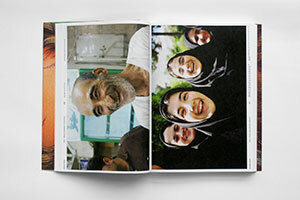 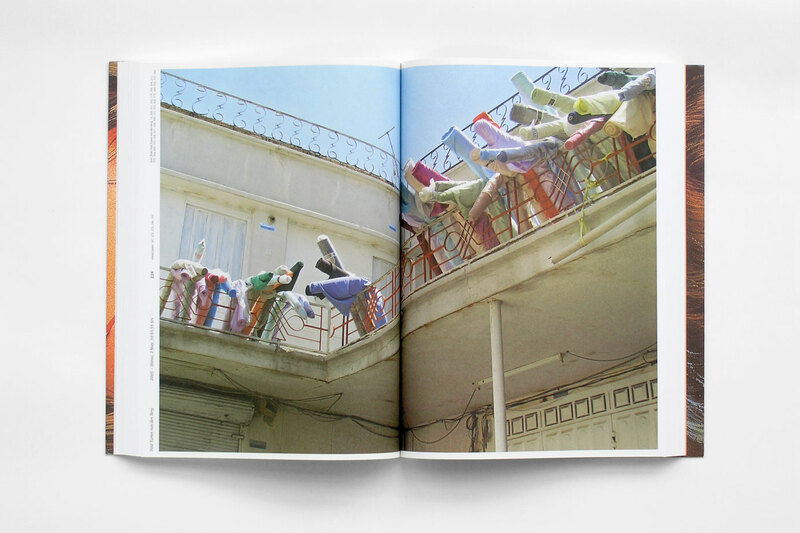 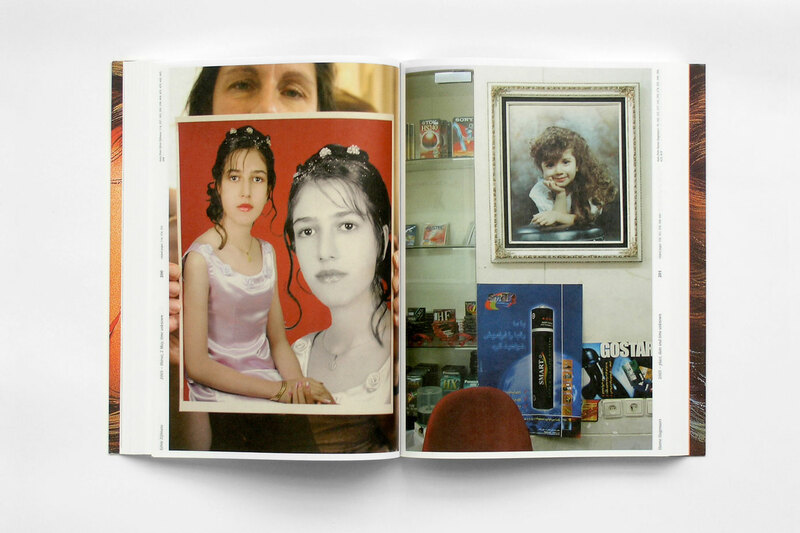 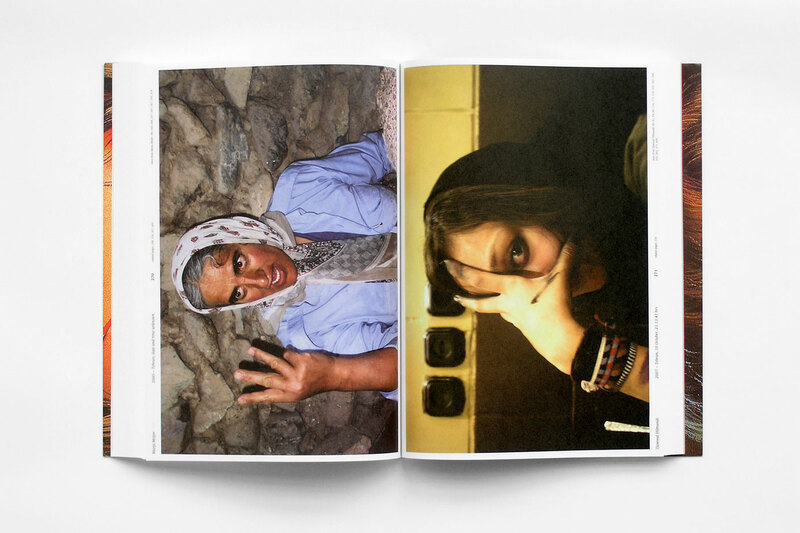 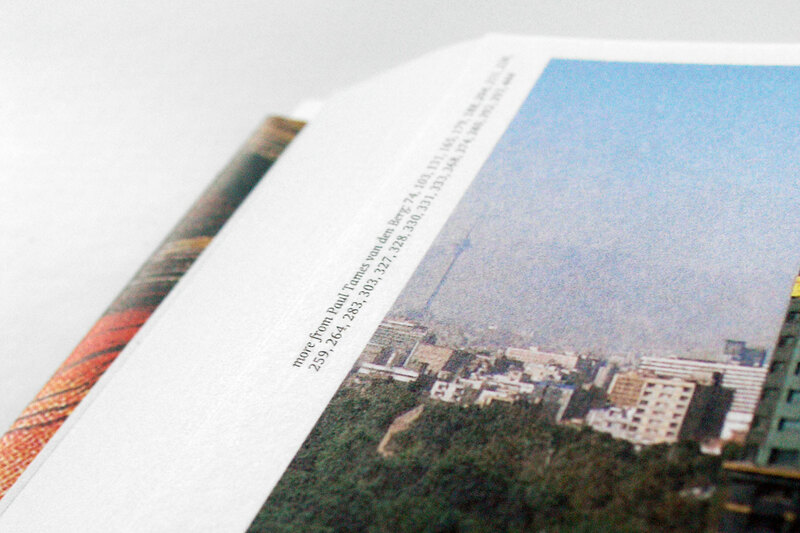 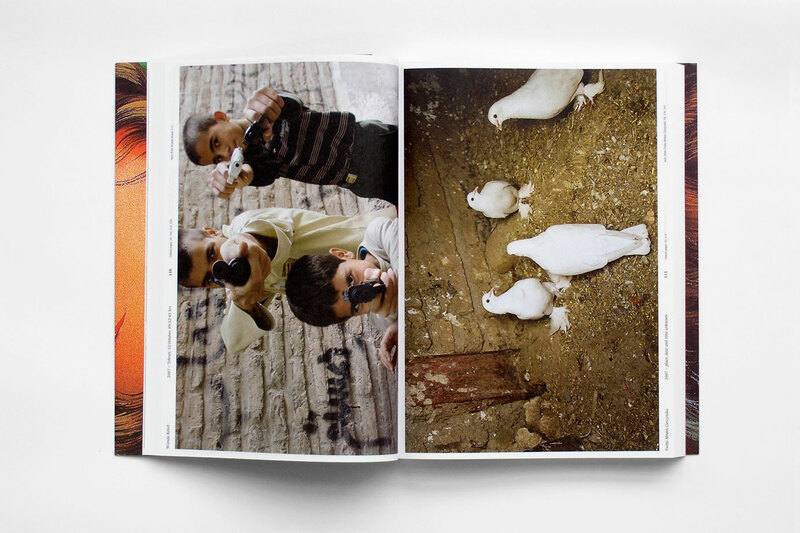 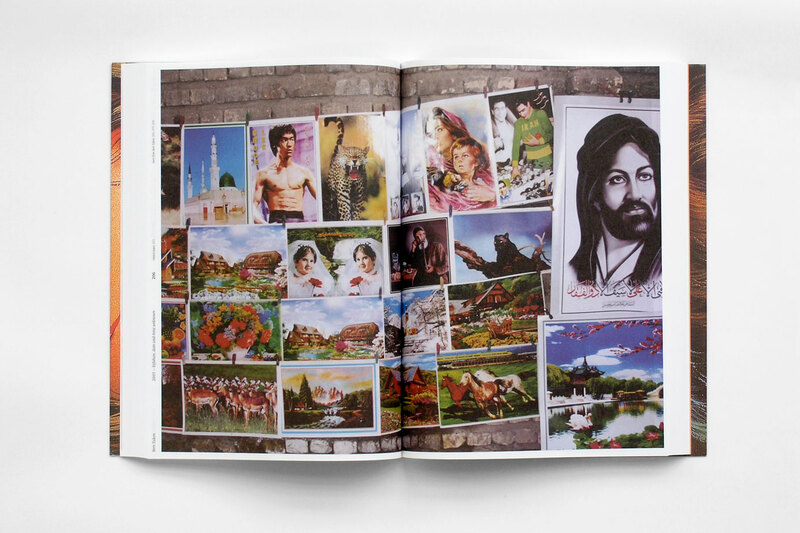 With this book the artists pay tribute to the traditional Persian hospitality and even try to counteract efforts to demonize Iran in the media. 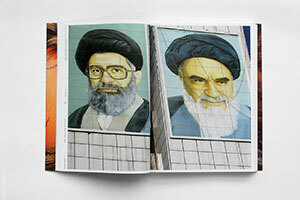 Check this link for a short article about Heartbeat Iran (German). 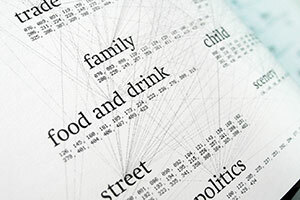 Tag cloud displaying the inherent structure of the publication. Each photo is accompanied by related page links. 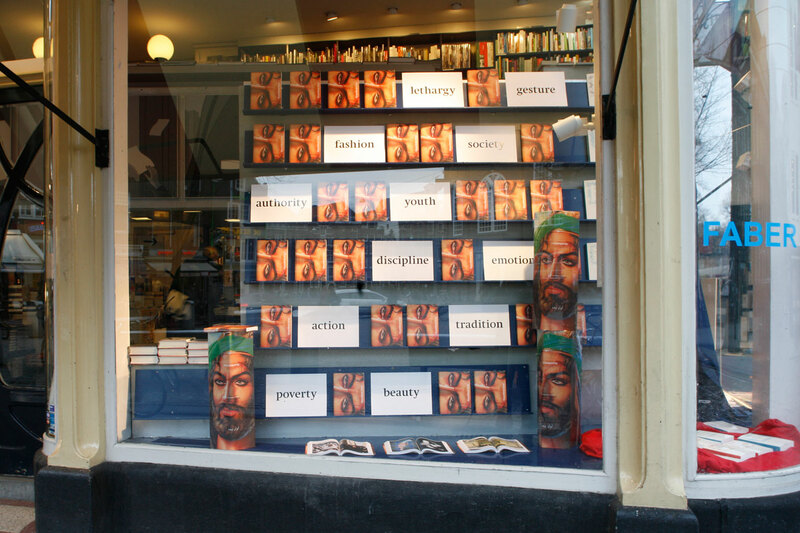 Heartbeat Iran in the window display of Athenaeum Boekhandel, Amsterdam. 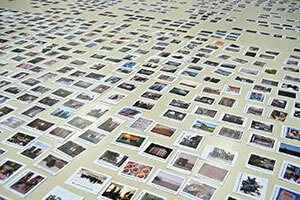 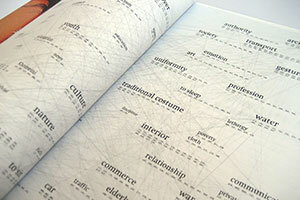 Every path of the tagcloud network is an ordering of the photos, alternative to the one captured in the book.